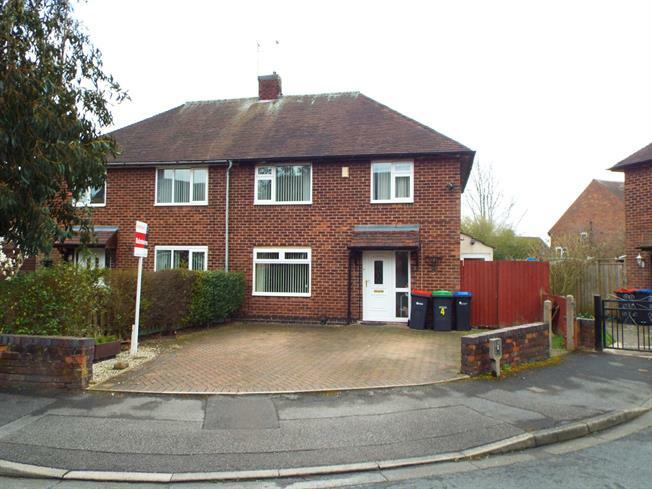 3 Bedroom Semi Detached House For Sale in Nottingham for Asking Price £125,000. Three bedroom semi detached house which is in a quiet and popular cul-de-sac close to the town centre. The property would be ideal for a first time buyer looking to get on the property ladder. The home feels spacious and briefly comprises of; an entrance porch, downstairs WC, lounge/dining room which leads to a conservatory and a kitchen/breakfast room. To the first floor is a family bathroom and three bedrooms with two being good size doubles. The first floor also allows access to the loft via ladders and is boarded with electrics ideal for storage. Outside to the front is a large blocked paved drive allowing off street parking for two medium sized cars. To the rear is the garden which mainly laid to lawn with a decked and paved patio areas. UPVC bi-fold double glazed door. Double glazed uPVC window. Radiator. Double glazed uPVC window. Radiator. Roll edge work surface, wall and base units, stainless steel sink, electric oven, gas hob. Leading to all bedrooms, bathroom and access to the loft. Double glazed uPVC window. Radiator. Standard WC, porcelain sink.